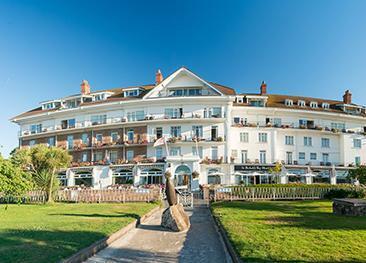 The Atlantic Hotel beautifully blends luxury with the most stunning ocean views over the west coast of Jersey. 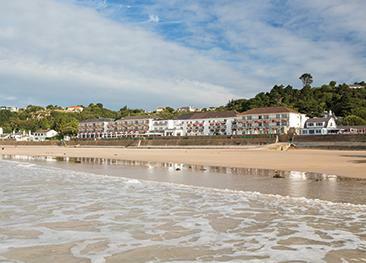 The Atlantic Hotel beautifully blends luxury with the most stunning ocean views over the west coast of Jersey. Built in the seventies and still owned by the same family, The Atlantic Hotel has retained an exceptional level of quality and offers a remarkable service, attentive but never intrusive. With an award winning restaurant, health club, proximity to golfing facilities and an outdoor swimming pool, the Atlantic Hotel is all about treating you to an ultimately relaxing experience in Jersey. The Atlantic Hotel is an AA Inspectors' Choice and a member of Small Luxury Hotels of the World. The Atlantic Hotel offers a selection of Golf View Rooms, Garden Studios, Ocean View Rooms, Executive and Atlantic Suites. Wi-Fi, Tea / coffee making facilities, Mini fridge, Fruit bowl refreshed daily, Hildon mineral water, Daily newspaper, bathrobes and slippers, Molton Brown toiletries, Direct dial telephone, Full length mirror, Satellite TV, In-room safe, Desk / work station, Hairdryer, Heated towel rail, Large bathroom mirror with de-misters, Shaving mirror. There is 24 hour room service. The award winning Ocean Restaurant is open 7 days a week for breakfast, lunch & dinner. Light meals or snacks are served on the terrace. The Bar and bar area offer cocktails (to die for) and afternoon teas. 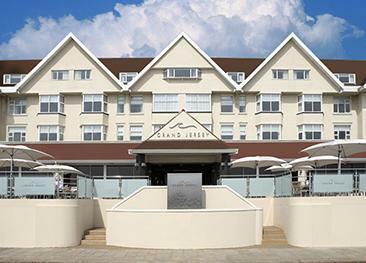 The hotel is located in the west of the island and overlooks Jersey longest sandy beach – St Ouen’s bay. The maturing gardens were re-landscaped after the Great Storm of 1987 with the views very much in mind. The results are deservedly breath-taking. The hotel has a lift. The restaurant and bar are accessible for wheelchairs, however there aren't any full disabled rooms in the hotel. The place was lovely and clean,food was great.And starf were 100%. Super hotel in every sense. Wonderful location, comfortable bedrooms, excellent food & friendly yet professional staff. You get what you pay for, view from sea view rooms is worth every penny. Food deserves the awards and stars, we will be going again. Staff very friendly. Nothing was too much trouble. Beautiful setting. Spacious, clean, bright rooms. Definitely stay here again next time. St. Brelade's Bay Hotel presents a slight colonial air with immaculately polished antiques and beautiful artifacts peppered along the walls.